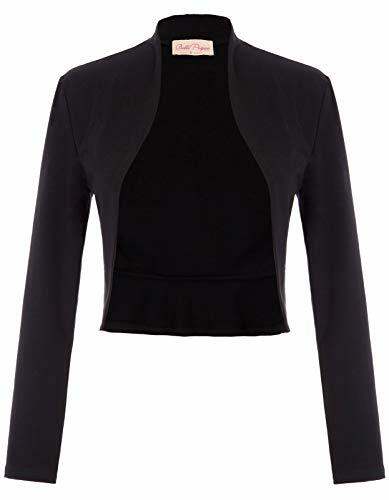 The cropped shrug is made of soft cotton, very nice material and has a feminine look. Classic open front, cropped length with ruffled hemline in the back, long sleeve design, just right for cool morning, evening and air conditioned places. Suitable for daily casual, evening party, cosplay, office wear , etc. This ruffled bolero shrug is perfect for daily casual, office, wedding, or evening wear. NOTE: please select the size base on the size chart from seller. If you have any questions about this product by Belle Poque, contact us by completing and submitting the form below. If you are looking for a specif part number, please include it with your message.